law-enforcement, amateur-sleuth, senior-citizens, family-dynamics, friendship, Russian-heritage, cozy-mystery ***** Strange things are happening in Redwood Cove and it will take both law enforcement and a group of local sleuths to get to the bottom of things. First there's a jewel encrusted dagger that looks like one kept by two gray haired brothers who were smuggled out of Russia as young children, and later a dead body has ties to the old men. Along the way the reader learns about the Russian aristocracy, Russian heritage celebrations, Cossack riding skills, and how a real Russian samovar is properly used. The mystery itself is well done and has just enough twists and red herrings, the characters are interesting and engaging, and the scenery and activities are clearly depicted. I loved it! I requested and received a free ebook copy from Lyrical Underground via NetGalley. Thank you! A great series! I loved it! This series is one of my top five. This fifth book in the series exceeded my expectations. These characters are among my all time favorites. 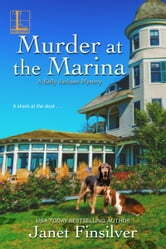 Pair this with a first rate whodunit and you have a true gem of a series. I look forward to reading further books in the series! I voluntarily reviewed an Advance Reader Copy of this book. Kelly Jackson and the Silver Sentinels find themselves helping two of their own, Russian brothers Ivan and Rudy. As preparations kick into high gear for the Annual Russian Heritage Festival, an historic and valuable jeweled dagger is found on Rudy and Ivan’s boat, the Nadia. Not long after a local Russian business man is found dead on the boat and a second body shows up in the same spot not long after. While no one believes the brothers are guilty, they are on the suspect list and the Silver Sentinels are back in business as they try to figure out who has brought murder to Redwood Cove yet again. The Russian history and tie to royalty added additional intrigue to this story and I thoroughly enjoyed it. 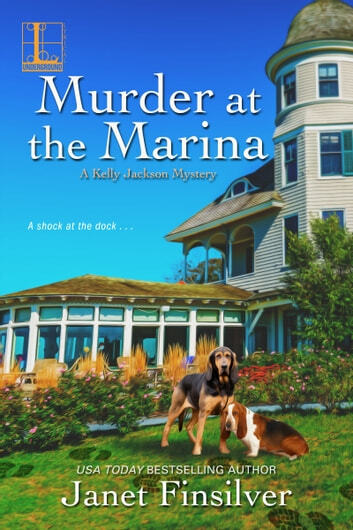 You don’t want to miss this series, and if you haven’t ready one yet, this is a great place to start as it is great as a standalone and a first introduction to the Redwood Cove, Kelly, and the gang.